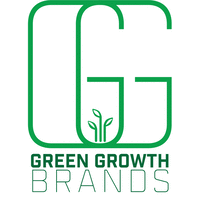 Ohio-based marijuana retailer Green Growth Brands raised 30.5 million Canadian dollars ($23.2 million) in a private placement ahead of the firm’s planned trading debut in Canada later this month. The raise follows a CA$85 million private placement inked in September and brings Green Growth’s total raises to more than CA$140 million. The firm plans to use the proceeds to cover the cost of going public, expand its footprint in the U.S. and build out its CBD-infused body care collection. The startup is led by branding and retail veteran Peter Horvath, a former executive at American Eagle Outfitters, Limited Brands and Victoria Secrets. Green Growth is a Columbus-based cannabis firm that has built a portfolio of branded retail store concepts that include Green Lily, The Source, Camp and Meri + Jayne. Earlier this year, Green Growth announced plans to go public and list on the Canadian Stock Exchange after a reverse takeover of Xanthic Biopharma, which is listed as XTHC.CN on the Canadian Securities Exchange.